Just like most people, I love to eat unhealthy stuff. (Chips, cakes, ice cream, chocolates, pizza, fries… why are you soooo good???) But there are times when I feel so guilty that I just have to cleanse myself. I still remember the first time I did juice detox. It was not as hard as I thought but it was still challenging. I avoided everyone with food and became anti-social for a day. (Why yes, all of the people I know and talk with always have food.) It was worth it though as I felt great after! Not really sure if it was psychological given I spent quite a lot for 6 bottles of juice I could do myself or if it really made me feel better. Anyway, I was convinced once again to try it out and this time, I tried Detoxify Bar. 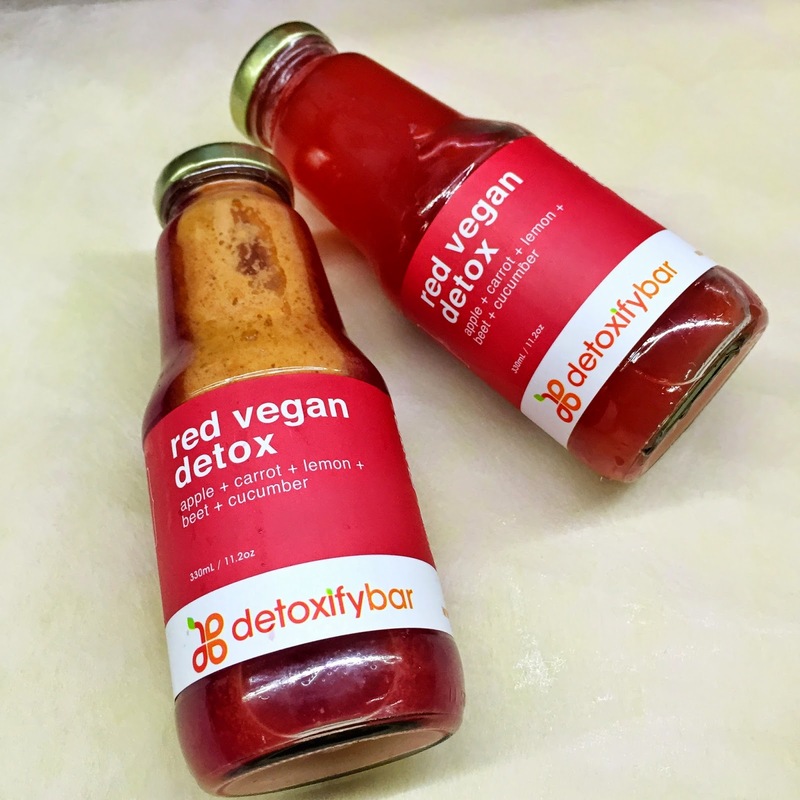 Detoxify Bar offers juice detox at a friendlier price compared to Juju Cleanse. Ordering was easier too as I called them up one afternoon to prepare my order for pick up that same night. 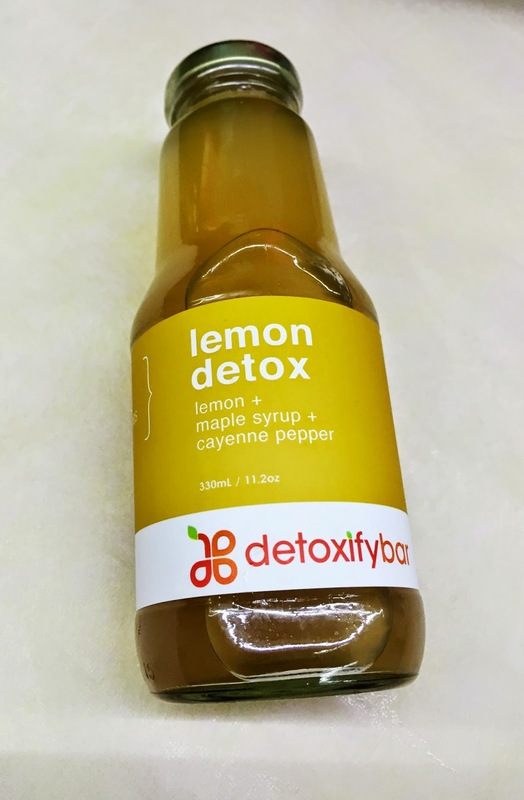 One day detox is composed of 5 bottles (versus 6 of Juju) and you may mix and match the juices you want (though they also have sets). 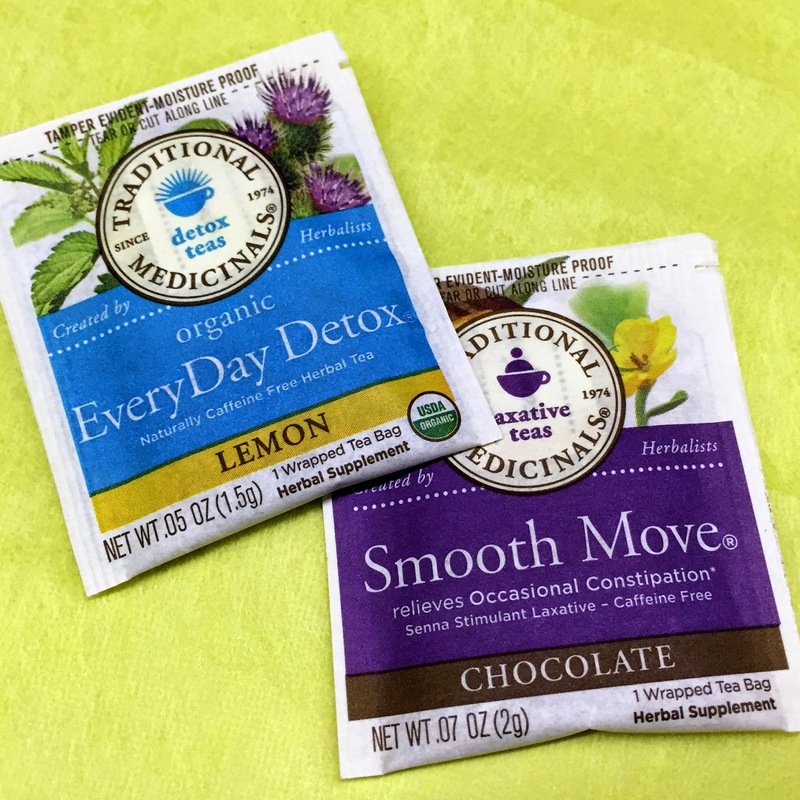 Each bottle costs PHP220 but if you get a detox set, you also get a thermal bag and two tea packs for an additional PHP250. 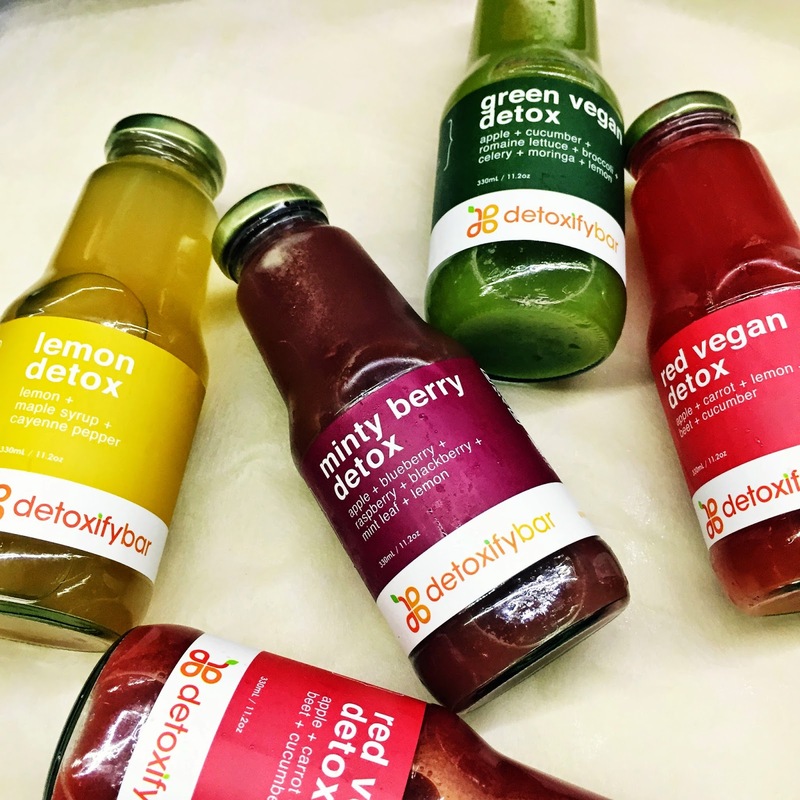 I chose the Green Vegan Detox, Minty Berry Detox, Lemon Detox, and two bottles of Red Vegan Detox. 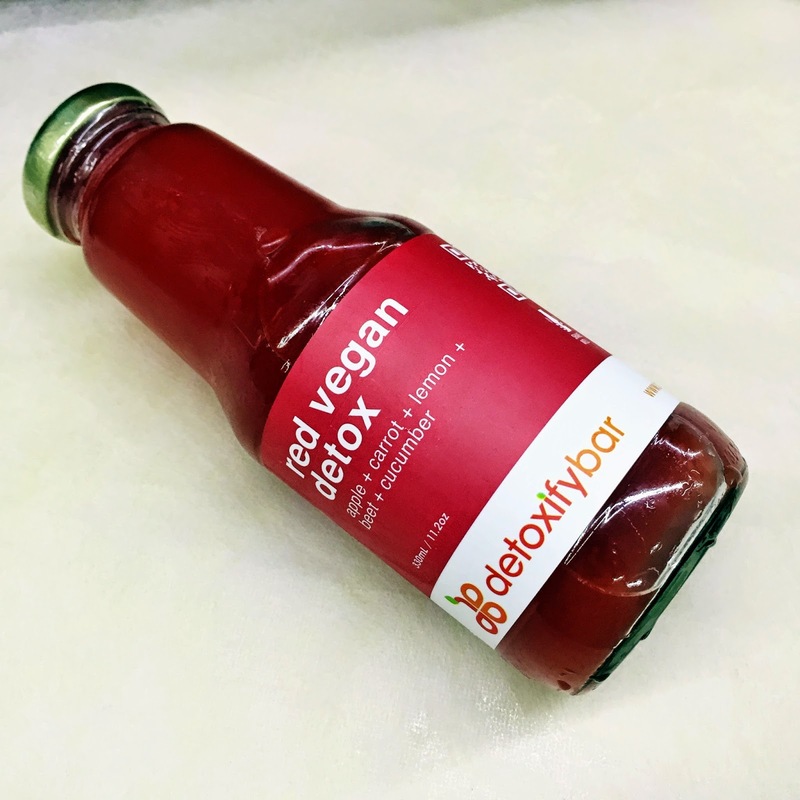 The first one I tried was the Red Vegan Detox and I was surprised that it tasted really good. The apple taste was pretty strong hence making the drink quite sweet. I can’t help compare it with the red juice of Juju which had beets. Detoxify Bar’s juice tastes so much better (and definitely sweeter). 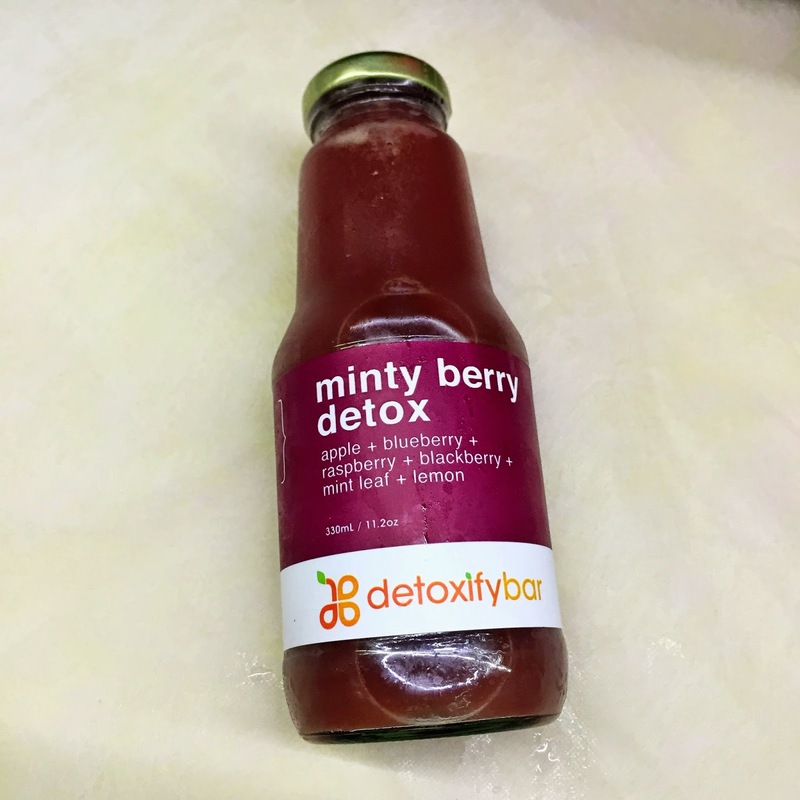 The next one I tried was the Minty Berry Detox which was quite sweet as well. (It really made me doubt if what I was drinking would really cleanse me.) Again, the apple taste stood out. It wasn’t really minty or even citrusy (because of the lemon). C warned me that the lemon detox could be quite spicy for some because of the cayenne pepper. And it sure was when my bottle was ¾ empty. It wasn’t as spicy as Juju’s though. 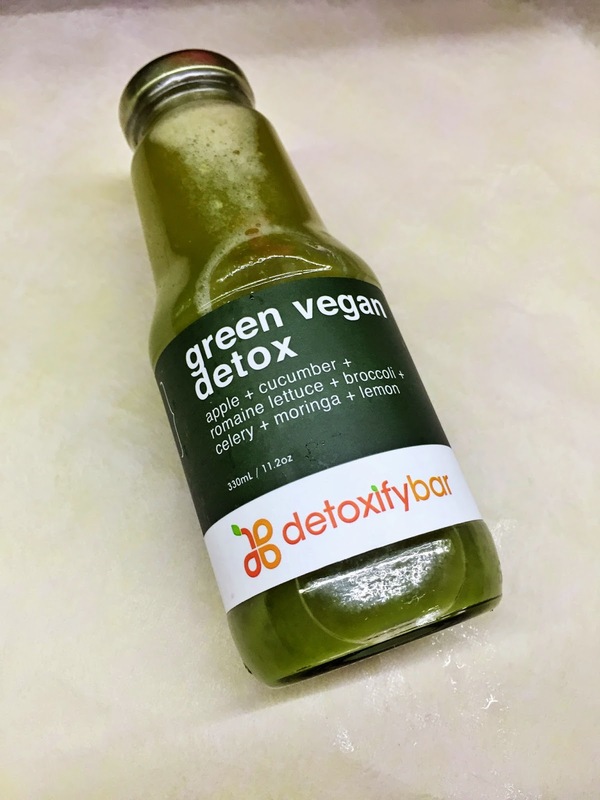 I was a bit hesitant with the Green Vegan Detox as it always tastes bad. But upon reading the ingredients, I saw apple again plus the other ingredients seem to be good. And again, it was a sweet drink. There was a slight taste of celery but I’m sure even kids would enjoy this. I can’t wait to detox again this June! NOTE: Sadly, they forgot to include the detox guide in my pack so I just patterned the intervals based on Juju’s. 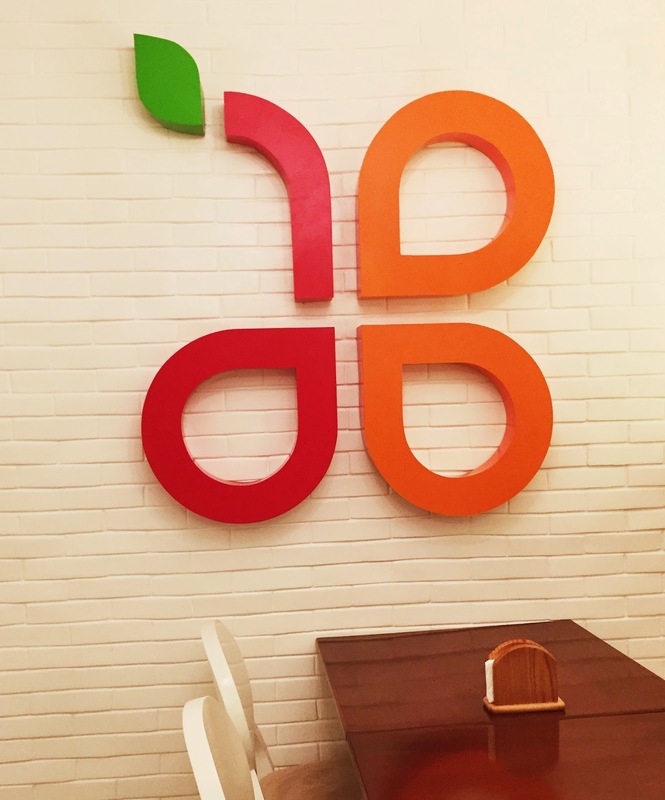 Detoxify Bar is located at 5th floor, Main Wing, Shangri-La Plaza Mall, Mandaluyong City.